I'm a huge lipstick aficionado, but I'll let you in on a little secret: I'm terrible at choosing shades for myself. As I'm sure you know, if it looks good in the tube or swatched on your hand, that doesn't necessarily mean it will look good on your lips. 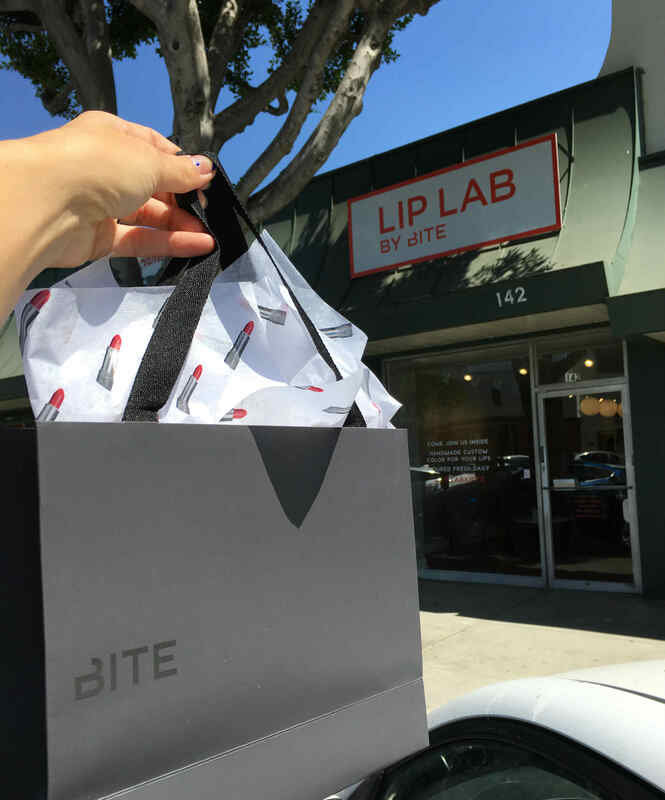 When I heard Los Angeles was getting a Lip Lab by BITE, I nearly jumped for joy at the thought of being able to create my own lipstick (with a little guidance, of course). The Canadian company launched in 2012 with the mission to create healthier lipsticks made of food-grade ingredients that are also cruelty- and gluten-free. The innovative lip line is available at Sephora and bitebeauty.com, as well as dedicated Lip Lab — locations where you can create your own bespoke lipstick with the help of trained professionals. With locations in NYC, Toronto, San Francisco and now LA's Larchmont neighborhood, I knew I needed to check it out. With a handful of my favorite (existing) lipstick shades and a bunch of lipstick photos saved on my phone, I headed to Lip Lab by Bite to see if they could help me take the guesswork out of picking a lipstick shade.